Neighborhood News Archives - College Hill Community Urban Redevelopment Corp.
As you know, the College Hill Community Urban Redevelopment Corporation (CHCURC) is a 501(c)(3) non-profit neighborhood redevelopment organization located in College Hill, the fifth largest neighborhood in the city of Cincinnati. Our mission is to revitalize the Hamilton Avenue business district to improve the surrounding community. It has come to our attention that the City of Cincinnati is searching for a new District 5 police headquarters and is willing to consider locations outside of the former Permit Center at 3300 Central Parkway. District 5 serves the communities of Clifton Heights-University Heights-Fairview, Camp Washington, Clifton, Northside, Winton Hills, Spring Grove Village, College Hill, and Mt. Airy. This letter addresses why the best location for a new District 5 Headquarters is in College Hill, instead of the former Permit Center on Central Parkway. When it comes to comes to selecting a location for a new district headquarters, CHCURC understands that the police and the City of Cincinnati previously looked to three important factors when selecting a site for the new District 3: (1) Potential Community Development Impact, (2) Police Operations, and (3) Constructability. CHCURC believes that locating the new district headquarters at the current location of the College Hill Plaza, 3.875 acres located at 5819 and 5843 Hamilton Avenue and 1613 Cedar Avenue (the “College Hill Plaza Site”), would score higher than any other potential site in District 5, including the former Permit Center. The College Hill Plaza, located on the south end of the College Hill Business District, was built during the strip-mall development phase of the 1990s, and its design and function are not consistent with an urban business district. It has only a few quality tenants, is auto-oriented, and does not create the walkable urban district that College Hill envisions. CHCURC has been studying and analyzing for years what could replace the College Hill Plaza, and a new District 5 Headquarters would be the highest and best redevelopment of this land. A new District 5 Headquarters at the College Hill Plaza Site would bring needed police resources to a location nearest to the highest call area in College Hill and create a safe, walkable urban environment for all six blocks of the College Hill business district and the surrounding residential neighborhood. Regarding the Community Development Impact factor, placing a new District 5 Headquarters at the College Hill Plaza Site would completely revitalize College Hill’s South Business District. As you know, CHCURC is already working with the Model Group and South Block Properties on new developments in the College Hill Mid-Business District on Hamilton Avenue mostly north of Cedar Avenue. These developments include revitalizing seven buildings that CHCURC has purchased – 5854 Hamilton Ave. (Marquet Building), 5901/5905 Hamilton Ave. (Dow Corner Buildings), 5917 Hamilton Ave. (Doll House), 5932 Hamilton Avenue (National City Bank building), and 6060 Hamilton Avenue (Mergard Bowling Alley Building). CHCURC has already begun those renovations, adding Brink Brewing Co., as well as signing leases with two new restaurants for 2018 – Tortilleria Garcia for the Doll House and Kiki for the National City Building. CHCURC and South Block Properties’ redevelopment of these buildings will include an investment of more than $5 million. CHCURC is also partnering with Model Group and Episcopal Retirement Services for Marlowe Court, a new $11.1 million mixed-used, four-story building with senior housing operated by Episcopal Retirement Services and retail on the first floor, including a new First Financial Bank branch and YEP! Fitness. The City of Cincinnati also selected CHCURC as the preferred developer on College Hill Station, a new development on 7.5 acres at Hamilton Avenue and North Bend. The RFP process has just been completed and includes development proposals ranging from $25 – 35 million for over 220 units of residential and over 15,000 square foot of commercial space. CHCURC is also working to redevelop 6120 Hamilton Avenue (Dixon Building), which includes 17 apartments and retail tenants such as the College Hill Coffee Co., Enliven, and Inspire. Due to the extensive revitalization efforts throughout the remainder of the Mid-Business District and Northern Business District, a new District 5 Headquarters would stretch the revitalization south, and enable the entire College Hill business district to be a walkable urban environment. Regarding the Police Operations factor, a new District 5 Headquarters at the College Hill Plaza Site would create a governmental plaza that would be contiguous with the new Engine 51 Fire Station that was built in 2009, and is conveniently located to the highest call neighborhoods in District 5 – Winton Hills, Spring Grove Village, Mt. Airy, and a portion of College Hill. The College Hill Plaza Site provides very convenient access over Groesbeck/Gray Road or North Bend to Spring Grove Village and Winton Hills, great access over North Bend and Kipling Avenue to Mt. Airy, and direct access on Hamilton Avenue/Ludlow Avenue to College Hill, Northside, and Clifton. This location is only 3.4 miles north of the existing District 5 Headquarters at 1012 Ludlow Ave. Although the new headquarters would be in a more northern portion of District 5, it is only minutes from its former location, and provides greater access to the higher call areas of District 5. The College Hill Plaza also offers many positives for the Constructability factor, as it includes a total of 3.875 acres that is completely flat and is owned by one owner, Daniel Frija, who has already agreed to an option to purchase as part of the lease terms for District 5 temporarily relocating to this site. Adding to the constructability factor is the size of the College Hill Plaza Site (3.875 acres) is very comparable to District 3’s new headquarters at 2300 Ferguson Road, which has 3.905 acres. The parcel size similarity should reduce design costs, as it is understood that the Police Department wishes to build a headquarters substantially similar to the new headquarters in District 3. Furthermore, being located at the College Hill Plaza provides physical accessibility to all nine neighborhoods located in District 5. The College Hill Plaza Site is also consistent with Plan Cincinnati, the City’s comprehensive plan, because it is located within one of the Centers of Activity, places where the community envisions main streets of civic life surrounded by residential areas. College Hill and CHCURC hope that a new district headquarters in this location can play a role in driving additional development and helping to redefine the surrounding built environment. If the City uses the same criteria is used to select the location for District 3 headquarters, it is clear that the College Hill Plaza site meets the criteria much better than the former Permit Center site. The former Permit Center site does not even come close to meeting a community development impact factor – there is no business district on Central Parkway and the new district headquarters would be isolated next to a motel to the south and a carwash to the north – in a non-walkable business district. The former Permit Center site would also not meet the police operations factor – it would be locating the district farther away from the highest call neighborhoods of District 5. The former Permit Center site would also fail to meet the constructability factor – the current topography of the land only allows for 70-90 parking spaces, while the District 3 headquarters has more than 150 parking spaces. Unless the City plans on building a parking garage behind the building (which would mean that the cost of that site increases), 3300 Central Parkway does not provide enough useable land to accommodate the police’s parking needs. The former Permit Center location is also not located in a walkable Center of Activity of either Camp Washington or Clifton. Finally, choosing the College Hill Plaza site will be more impactful on the community than the Permit Center proposal. Locating District 5 at the former Permit Center site would do nothing to foster Police-Community relations. Placing a new District 5 in the heart of the College Hill business district would continue the efforts of the Collaborative Agreement by bringing community gather space and art into another district headquarters. CHCURC’s leadership team would welcome the opportunity to meet with City leaders on a new District 5 Headquarters, and further share our redevelopment initiatives and rationale why the College Hill Plaza Site is the best location for a new District 5 Headquarters. As the weather begins to warm up, it’s once again time to shop “The Avenue”. Our Business District is filled with many amazing and diverse businesses that will constantly surprise you! 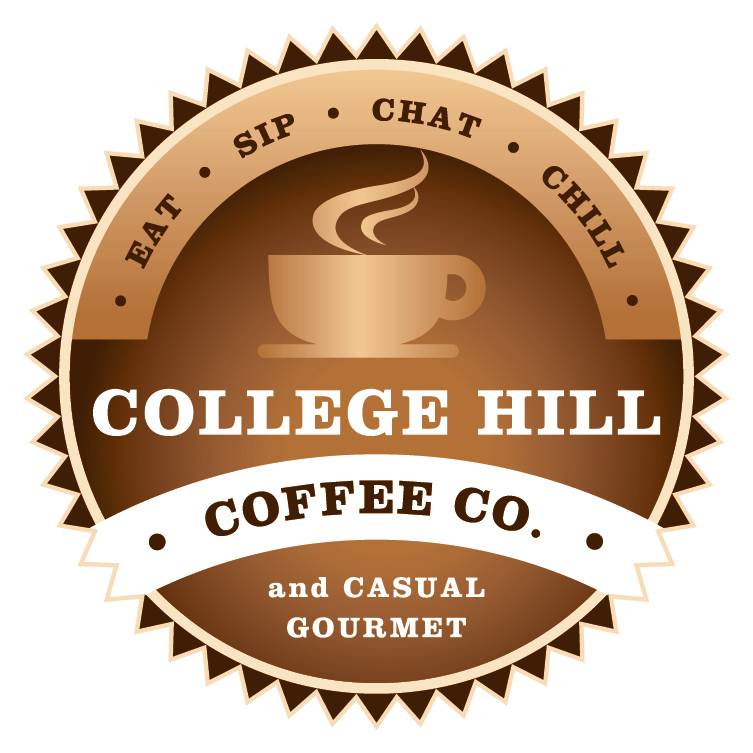 This year, College Hill is extremely proud to announce that three of our businesses took top spots in four different categories. None of these successes would be possible if it weren’t for the support of our local businesses and the hard work that all of our community organizations and volunteers have put into our neighborhood. We can’t wait to celebrate our success and continue to grow! Additionally, we want to recognize Brink Brewing for winning the #CincyCraftMadness best Craft Beer in Cincinnati for their Fashionably Late IPA! 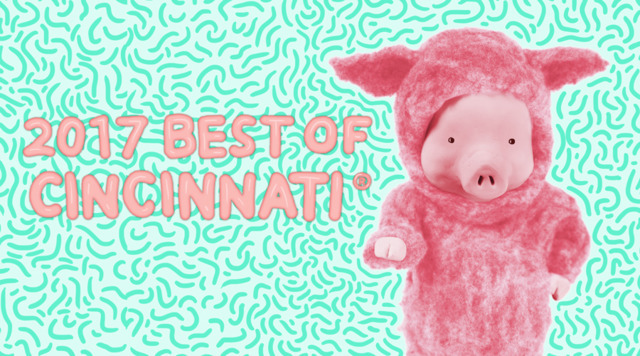 You can check out the results on the Cincy Craft Madness Website.